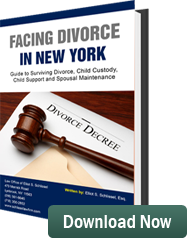 In a divorce action pending in Westchester County, in the State of New York, a wife sought pendent lite spousal maintenance (temporary spousal maintenance). She requested all compensation paid by their company, A Management Corp. (AMC), to both the husband and wife be equal. In addition, she sought a temporary spousal maintenance (alimony) award in the divorce lawsuit. The attorney for the husband opposed wife’s application. The husband claimed his wife voluntarily left the employment of AMC. He further stated even after she left she still was receiving her salary. While she was receiving a salary, he made payments for many of the marital expenses, including her cell phone and car insurance. The husband also alleged that although he had been paying the wife’s salary she had actually not worked for AMC for a period of four years. Justice Linda Christopher, ruled the wife’s requests for temporary spousal support and requiring all compensation paid to her and her husband by AMC to be equal, was an unreasonable request. She took the position the relief the wife asked for was not authorized and not appropriate since wife did not have an active role in the company for four years. Judge Christopher stated the presumptive award for spousal maintenance was $9,824.60 annually. She also found this amount would be unjust and inappropriate. Her decision was there should be no temporary spousal maintenance award. The court took this action because the wife was still receiving a salary from AMC. She was able to support herself on this salary and she was still receiving voluntary payments from her husband to cover her expenses that were in excess of her salary.